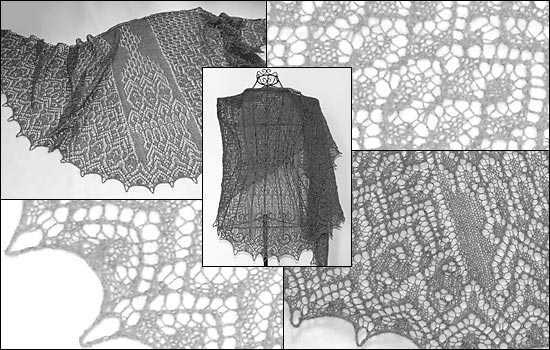 *Helena* is a Faroese-style shawl with a rectangular, ornamental middle panel and symmetrical side panels where the increases are made. It is finished with an ornamental edging knitted across all three panels. *Helena* is one of the 12 patterns included in the » ebook *TuecherRausch*.